After the death of a dream comes the return of a legend! 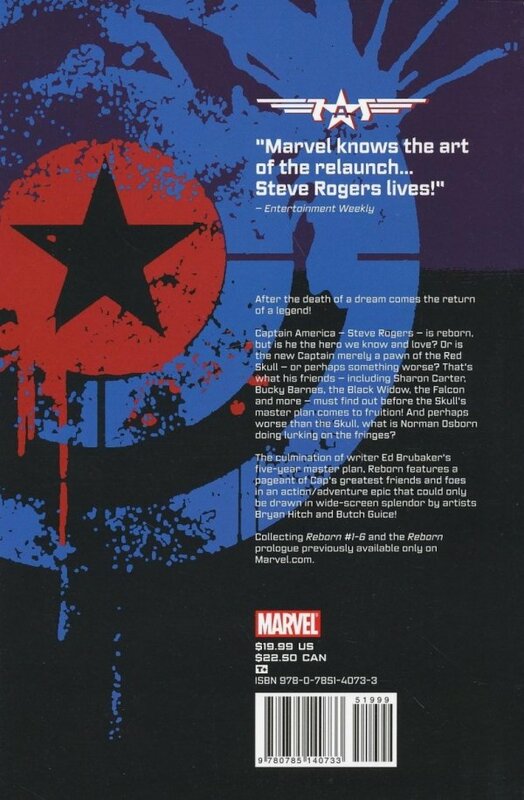 Captain America-Steve Rogers-is reborn, but is he the hero we know and love? Or is the new Captain merely a pawn of the Red Skull-or perhaps something worse? That's what his friends-including Sharon Carter, Bucky Barnes, the Black Widow, the Falcon and more-must find out before the Skull's master plan comes to fruition! And perhaps worse than the Skull, what is Norman Osborn doing lurking on the fringes? 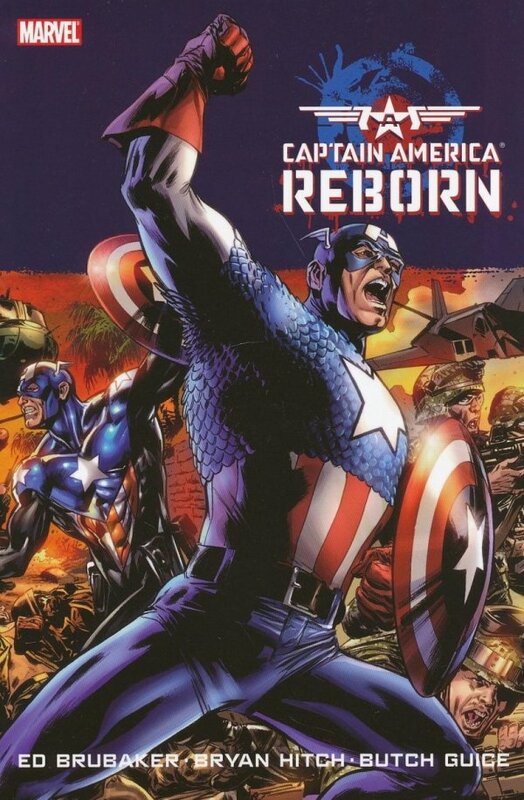 The culmination of writer Ed Brubaker's five-year master plan, Reborn features a pageant of Cap's greatest friends and foes in an action/adventure epic that could only be drawn in widescreen splendor by artists Bryan Hitch and Butch Guice!